If you are looking for great value accommodation in Tenerife, take a look at the Bungalows Barranco. In a peaceful location, just 250m from the beach, this 2 star complex of studios, apartments and duplexes is a purse friendly option for families. The swimming pool is the centre of daytime fun, with a section for the children to splash around. Choose your spot in the sun and top up your tan. No need to wander too far from your sun bed for refreshments, with a full menu of snacks and drinks available at the restaurant and pub next to the complex. The apartments are simply furnished with plenty of space to spread out and cooking facilities to rustle up a quick snack or cooked breakfast. Why not take a stroll to the beach to build sandcastles or to enjoy an afternoon dip in the sea? If you fancy playing a round of golf, Playa de las Americas Golf course is nearby. When the sun goes down, the centre of Playa de Las Americas and its bars and clubs are just waiting to be experienced. Discover why the Bungalows Barranco are a favourite choice for a family holiday in Tenerife. 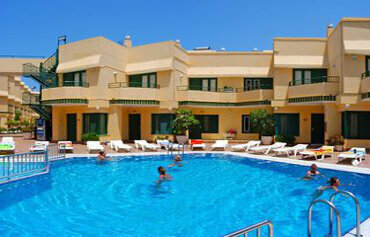 The Bungalows Barranco offer all the facilities you would expect from 2 star apartments in Tenerife. Highlights include: An outdoor swimming pool with a section for children, sun terraces, sun beds, a reception area with internet available (charge) and a TV room. The complex has 101 guest units including 7 studios, 17 one bedroom apartments and 77 duplex apartments. The apartments are simply furnished with kitchenettes, bathroom with shower, bath, toilet and bidet, television, telephone, safe (charge), balcony or terrace. There is a restaurant and pub next to the Bungalows Barranco which offer a good choice of snacks, sandwiches, meals and beverages. 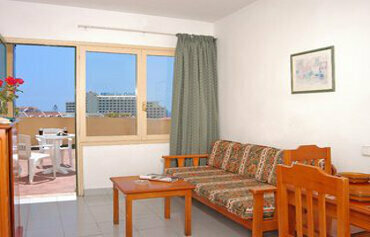 The Bungalows Barranco are located in the centre of Playa de Las Americas. 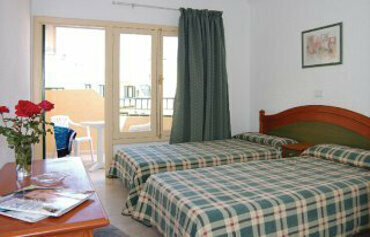 The bungalows are 250m from the beach, 300m from Playa de las Americas Golf Course and 13kms from Reina Sofia Airport.